Every newborn baby is breathing in the world of tech where the technology speaks a thousand words, where a remote controller is all that is needed to operate the functions of electronics, where pressing buttons can start and stop an action, where people are flying to the moon, where you can soar towards any part of the world in the minimum time possible and where devices and gadgets are found in every pocket & bag. Yes, this is 21st century where brands are running a race to create something really unconventional, different and unique. In the cellular range where smartphones are the basic necessity, people are getting nuts to have a new smartphone as early as possible to shoe it off and flaunt the image that how much trendy they are. Samsung is very popular for its best gadgets; it has quality and excellence which has never been compromised. Recently S6 and Galaxy Edge have come on the surface and people are making tons of comments about it. It is quite usual that an innovative thing is later accepted and at first faces criticism that depends on the exposure to it, we all should wholeheartedly welcome Samsung Galaxy S6 and Edge to have its surprisingly new features and awesome crispy look. Glass molding and metal sculpturing techniques are used in S6, its curve is really breathtaking, spectacular color display will give you a vibrant touch experience. Smoothness is on its peak with the elegance of 5.1 display body. It gives you an ultra-fast charging experience which is 1.5 times faster, pop S6 on a charging pad for wireless charging. 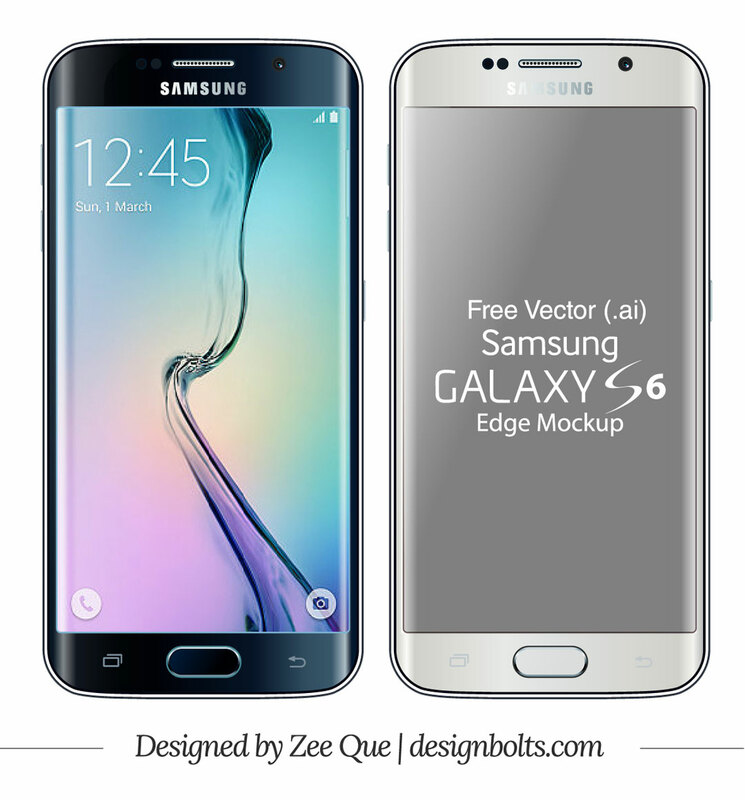 Galaxy S6 Edge is going to give a very smart experience with its sleek edge. Its 64-bit architecture, LPDDR4 and advanced GPU delivers truly powerful performance, letting you take multitasking and multimedia functions beyond imagination. 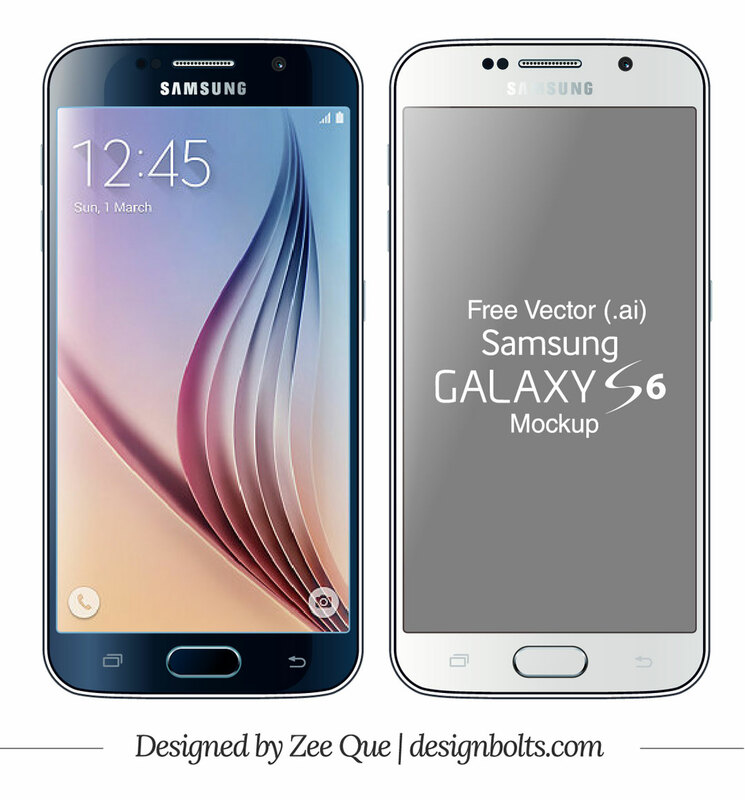 Today I am presenting before you free Vector Samsung Galaxy S6 & Edge mockup. Simply insert in your designs when you get to show it to your client in the professional domain. Take a look down here! Note: You are not allowed to redistribute.